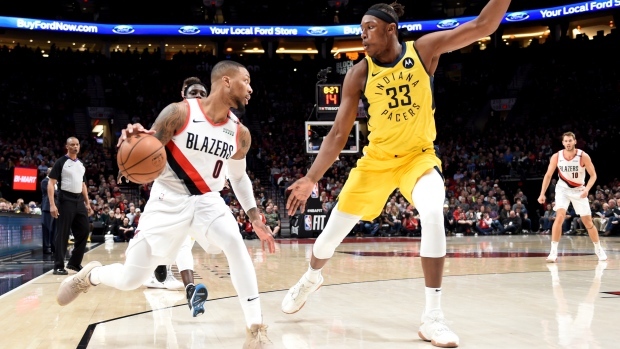 Lillard closed out the first half with a 3-pointer from nearly the pinwheel logo at centre court, and the Blazers went to the locker room with a 55-48 lead. Lillard had 18 points and eight assists in the half. Turner also scored 18 to go with six rebounds. Pacers: Domantas Sabonis received warm applause from the crowd when he entered. His dad, Arvydas, played for the Blazers from 1995-2001 and again during the 2002-03 season. ... Matthews, who played five seasons in Portland and was a fan favourite, was similarly greeted.